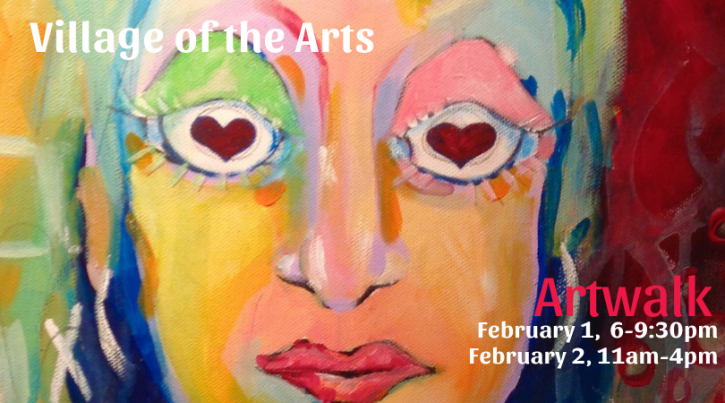 Visit the Village of the Arts for our vibrant monthly artwalk the first Friday night and Saturday afternoon of every month. Discover unique galleries, studios, specialty shops, healing arts, food and music during this popular monthly event. Opening receptions for new shows, special guests throughout the Village, and live music are all a part of artwalk weekends. Friday night, 6-9:30pm and Saturday 11am-4pm. Find out what's happening at galleries and business throughout the Village by checking our Facebook page. A public parking garage is located at the intersection of 8th Avenue W and 12th Street W. Three short blocks north of the Village. Free after 6pm and on weekends.